Chantell’s road to construction consulting and engineering took a more circuitous route. In 1997, while pursuing her undergraduate degrees in Spanish and Political Science from the University of Washington, Seattle, Chantell joined the firm of Hedeen & Caditz, providing General Counsel services to Contractors and Subcontractors for contract and dispute negotiation; bid protests; bid shopping; extra work clams, labor inefficiency claims and claims for default terminations and terminations for convenience; lien, bond and retainage claims; and providing dispute resolution, including mediation, arbitration and litigation support. 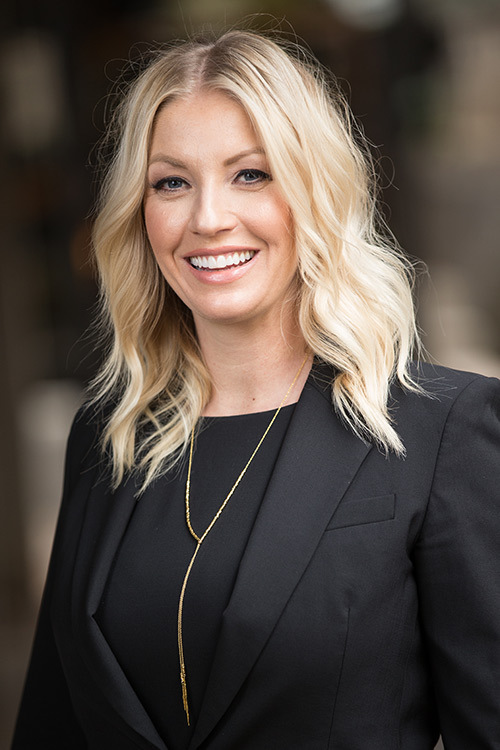 In 2002, Chantell moved to Phoenix where she continued insurance defense work and in 2005, while simultaneously pursuing her graduate studies in Chemistry at Arizona State University, Chantell entered the world of construction defect litigation where she eventually met Doug Ward. Chantell was accepted to Medical School in 2007, but elected to defer her admission and continue her work in construction defect claims with Doug at their predecessor company. Inevitably, their partnership flourished and on January 4, 2012, electing to close the door to a career in medicine altogether, Chantell and Doug opened the doors to The Ward Group. Chantell brings over twenty years of legal experience, claim evaluation, dispute resolution, construction management and cost estimating. In 2016, Chantell decided to increase her expertise from cost estimating and exposure analysis to providing expert opinions in residential construction. As Managing Partner for The Ward Group, historically, Chantell’s primary role was behind the scenes. But Chantell’s passion for knowledge and learning lead her to many a field inspection, client meeting, deposition or trial. And now again Chantell returns to the classroom to follow in her mentor and business partner’s footsteps as a Principal Expert. In January 2017 Chantell completed programs for licensure as a State of Arizona Registered Contractor, Arizona Real Estate Agent and Certified Professional Estimator. Chantell is presently completing a Masters in Construction Engineering (M.S.E.) at Arizona State University in the Ira B. Fulton School of Engineering where Doug Graduated in 1972. Chantell focuses her practice on residential claims as well as code, OSHA, and ADA compliance in premises liability and job site accidents. When Chantell is not working she enjoys travel (always with a cribbage board in hand), riding horses, triathlons, boxing, golfing, fishing, skiing, camping, and anything that takes her outdoors -- especially trips back home to the Pacific Northwest -- and never misses a college football game. Go Dawgs! The Ward Group was founded in January 2012 by Douglas R. Ward and Chantell J. Cornett. Our team brings over 50 years of building science experience; building commercial, residential, industrial, multi-family, mixed-used, and governmental projects.